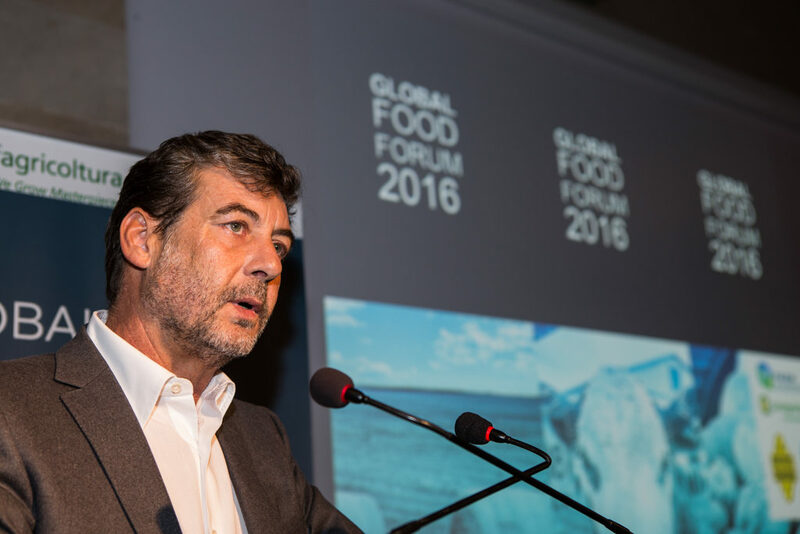 The Global Food Forum is a place to speak frankly, in our own name. It is a place to leave at the door the usual ready-made speeches – the Line To Take as we say in Brussels. We are here in Pavia, at the heart of one of the most beautiful agricultural spot in Europe. Pavia is not a place to build wooly consensus, but to share ideas and vision. Tomorrow, we will share strategy and recommendations. As President of the Forum, I want to fully cease this opportunity. I want to speak as a truly European, as a farmer that is engaged and involved with passion in the future of the European agricultural sector for more than 30 years. I want to share with you my concerns, but also, more importantly, my hope and my expectations from the European Union, in this turbulent period. For more than 3 decades, at EU level, most of the energy has been spent to counter the British tabloids’ caricature of Europe and of the Common Agricultural Policy in particular (without avoiding a Brexit vote). We spent time to correct internal policy failures as well. And, more positively and rightly, we developed new policy path to meet Citizen expectations. But what about Farmers expectations ? Europe lost touch with its farmers and their expectations. We have let ourselves be defeated by pessimism and by the fear of declining, as if permanent crisis would be the new normal. The economic dimension of the agricultural sector – and of the Common Agricultural Policy – have been overlooked. Time has come for the European Union to discover again its agriculture and its farmers, not only sending a cheque when political pressure is too high, but reflecting carefully on the best ways to use public spending. Time has come to table a real economic strategy for EU agriculture. In doing so we will restore confidence, regain optimism and build future growth. 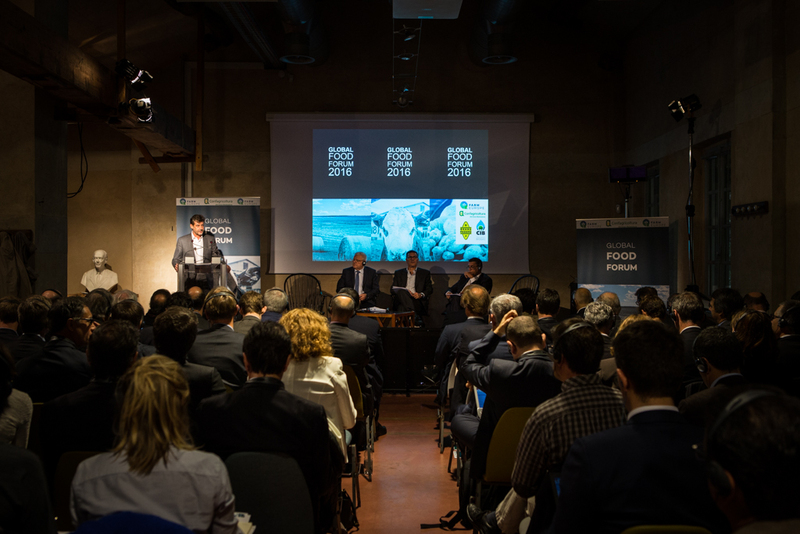 The Global Food Forum is a positive place, a place where we believe that Europe can be strong in a multipolar world. Farmers are not trained speakers. They don’t have spin-doctors. Farmers are far less numerous than they used to be. Nevertheless farmers matter whatever they weight in the overall population. If the European Union really wants to understand and see what is going on in the agriculture sector, it needs to invest time, to listen carefully. It needs to avoid the usual cost-cutting approach when it comes the Common Agricultural Policy. This approach blocks the debate, freezes policy changes. I want to thank all the decision-makers that are here, and also those who will arrive later today and tomorrow. Thank you to all the representatives of the European Parliament, the European Commission and the European Council. Welcome Mr Arthuis, Mr Plewa, Mr Dantin, Mr La Via, Ms Delahaye, M. Dorfmann, Ms Comi. Thank you as well to all the representatives of the Ministries coming from Portugal, Romania, Italy, Ireland, France, Latvia, Slovakia, the Netherland. I will stop here not to take the risk to forget someone. Thank to all of you for being here as active participants and speakers for some of you. If Europe takes the time to listen carefully, as you do today, Europe will discover that a silent green revolution is on going. A revolution all politicians would like to be associated with. If Europe takes the time, it will discover that a cultural revolution is on going in the countryside as well. Farmers are connected, want and need to be connected. They are eager for trainings, innovation, investments, new techniques and collaborative approaches. Farmers are smart, multi-skilled and global thinking entrepreneurs. Then, what does an entrepreneur, with a global thinking needs from Europe ? Certainly not the agriculture policy we had 2, 3 or 4 decades ago. It’s not up to the administration to set prices ! I say it clearly: I don’t want a European Union where ministers spend nights to set political prices ! Farmers want (good) prices, but they want to be in the position to fight themselves for good prices. But it is up to the politicians and up to our administrations including the European Commission to set the rules for a fair agri-food economy. We need a review of the supply chain rules, with a relevant food-chain regulation. You will work this afternoon on the topic. Time has come for farmers, cooperatives and food companies to work hand in hand. We need a fair competition from farm to fork. That is why the Forum is a place to reflect together: institutions, farmers, cooperatives, food companies, bank, insurances institutions, agri services suppliers : this is our common interest. What does an entrepreneur needs from Europe ? Farmers are working on global markets. Drought in New-Zealand, rain in Brazil, economic slowdown in China have direct impact here on this farm and all across EU countryside. Farmers are not inward looking people! The future growth for EU agriculture is in Africa and Asia, not within the European Union. When we look at global markets, we see that all across the world all big players are building policy tools to stay strong on their local markets and to strengthen their market share on international market (including with promotion tools) and, consistently, they are also equipped with policy tools to cope with the collateral effects of open markets: prices instability. And the lack of investments in the EU farming sector undermine the entire EU food chain. We need resilient farms that recover quickly after a crisis whether it is a market, environmental or sanitary crisis. Let’s do as our competitors – but with our own tools ! Let’s build efficient mechanisms to cope with market instability and climate risks. Let’s strengthen the resilience of our farms. We will boost investments. Efficient insurances, mutual funds, individual provisions – different options will be discussed this afternoon. The Forum will focus only on the options that are putting farmers at the core of the decision, in managing their risks, with the support of the European Union, not the opposite. What does an entrepreneur expect from Europe? We have reached the limits of what is acceptable when it comes to rules, norms and standards. We need to reset the system, rebuild trust and confidence. As a farmer, I say it boldly: I want my farm to be environmentally sustainable, not only economically. I want to protect my soils, the water and the biodiversity of the farm I will transmit as a heritage to my daughter. I know that I can deliver when it comes to climate change – even if I know there is a cost. As a farmer, I say it clearly as well: I don’t want anyone to tell me how I should farm, and especially not when the rules are requested by people who never put a single feet on a farm. Nobody enters a bakery to tell the baker how to cook tasty bread. Why we would accept this for the wheat ? Smart farming is a new reality, with a huge potential indeed. It is an evolving reality. Agricultural science is fast evolving. With all the respect for EU institutions, I am pretty sure that EU rules will always run behind what is the more relevant sustainable solutions in the fields. Set the objectives, not the details. Saturday, we will work on this topic and we will see that we can reconcile economic and environmental sustainability, as well as environment and legislative simplification. We need a new smart greening, as well as a smart regulation. Finally, as an entrepreneur, I also want a level playing field on the internal market. And I will conclude on this key concept. I know that I share this concern with all the leaders of the food chain here. The internal market is the most valuable asset for all the Europeans, not only for companies, also for citizens. It has been, and it is still a great source of growth and jobs. But the internal market is at threat. Not because of the Brexit. The internal market is in danger when the European Union is not taking the leadership to build a coherent and efficient approach on labeling and nutrition policy. The internal market is in danger when the European Union let Member States develop parallel standards, undermining common approaches, including on environmental norms. We need a dynamic and fully functional European Union, under the clear leadership of the European Union. We want a better Europe and we are here at the Global Food Forum to build the Europe we want !